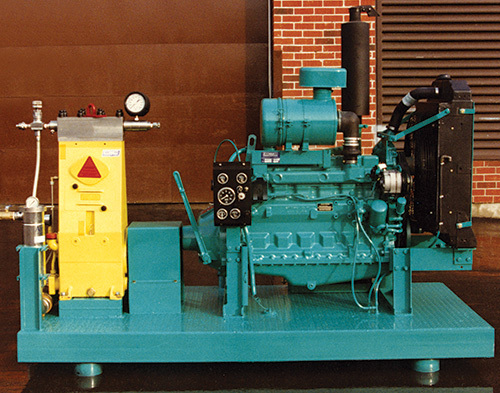 All ConMlCO custom pump systems feature only brand-name assembly components such as CAT and Detroit diesel power plants and Hammelman high pressure pumps. 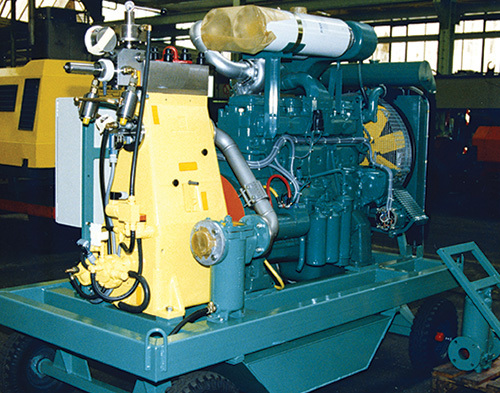 Custom designed high pressure pump systems are available up to 55,000 psi (380 MPa). Components and parts are readily available from ConMlCO in Canada, and from other pump and equipment maintenance suppliers around the World. 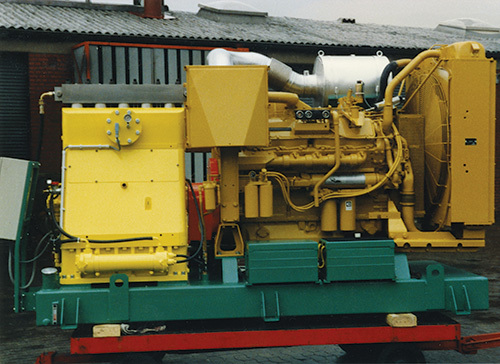 The perfect power plant and pump selection, used in mining environments for general cleaning and equipment maintenance. A 24 GPM (US) @ 10,000 psi capacity pump system, truck mounted for easy maneuverability in any industrial environment. Ample capacity to power two hand-held lances, this unit has found favor in automotive plants where general maintenance and coating removal is required. 40 GPM (US) @ 5,000 psi. This towable vehicle is “highway approved” and is a perfect solution for contract cleaning projects in heavy industry. 40 GPM (US) @ 8,000 psi. 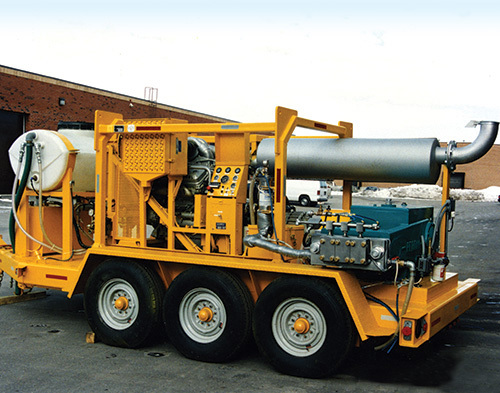 This towable vehicle is “highway approved” and is used extensively by hydro-electric dam utilities for cleaning equipment, water tunnel flushing and repairing concrete structures. 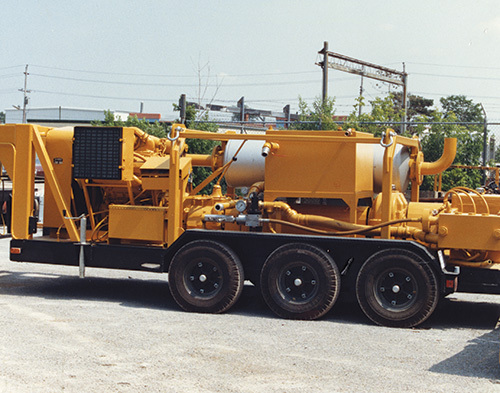 A skid-mounted portable pump system extensively used in the construction industry to power concrete demolition equipment. It features both high-pressure and high-volume output rated at 40 GPM (US) @ 21,750 psi.